Two p2p sites should soon be blocked by the major ISPs in the country. 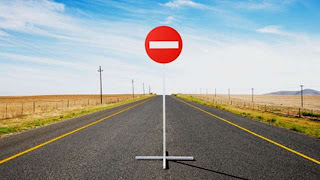 Two new p2p sites will be closed, due to a British court decision: two Torrents links, EZTV and YIFY-Torrents should soon be blocked by the major ISPs in the country. The High Court of Justice has decided to order the six major UK ISPs including Sky, BT, Virgin Media, O2, Everything Everywhere and TalkTalk to block two p2p websites that allow users to access many torrent links: EZTV and YIFY-Torrents. The content available through these sites were mainly movies, TV shows or series. The implementation of this court decision must quickly implement. The Motion Picture Association and FACT (Federation Against Copyright Theft) are the cause of action that led to these court decisions. And these lobbyists have acted in two stages. A first warning message would have been sent to EZTV in June for the p2p sites, according to an official of the FACT: EZTV was asked to stop its illegal activities. “We have not received any response from EZTV, therefore further action was taken and brought to court,” explained the FACT spokesman. The court would also extend to YIFY-Torrents. The list of blocked sites in the United Kingdom following judgments has grown impressively these last months. Since 2012, the court has decided to block various reputable sites, such as The Pirate Bay, Fenopy, H33t, Kickass Torrents, or more recently FirstRow. To download the content you want and connect to the sites of your choice, choose a VPN service that makes your Internet connection completely anonymous. You just have to select a VPN server in one of the 20 available countries. You can access blocked websites and protect your business over the Internet with a secure VPN tunnel including a virtual military encryption. The VPN installation is simple and does not take more than 2 minutes. Buy a VPN service today and continue to download without restrictions the content you want, using your usual methods.